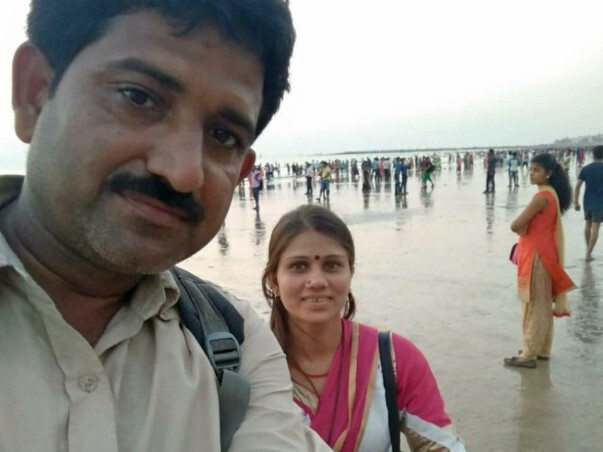 This is a fundraiser for my dear Bhabhi Saraswati (Brother’s wife), who is suffering from Acute Lymphoblastic Leukemia, a type of blood cancer and urgently needs to undergo chemotherapy. 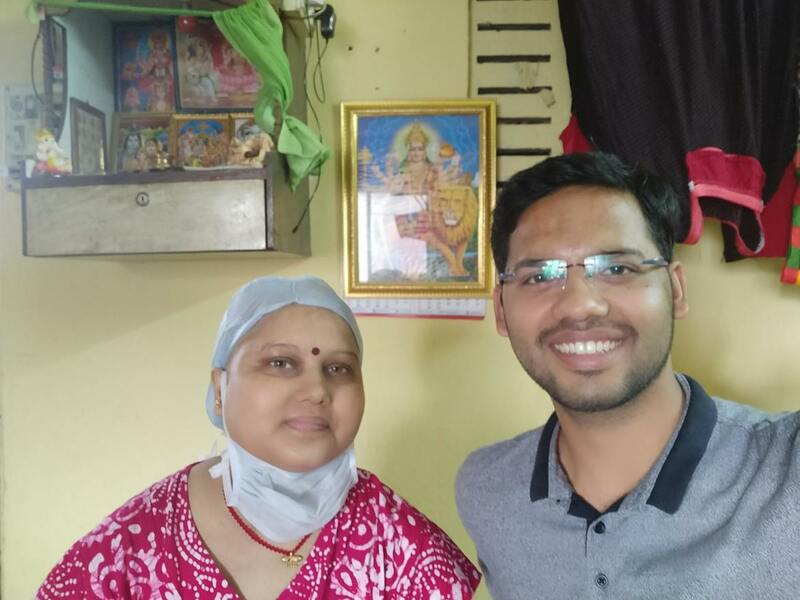 In January 2018, Saraswati started experiencing back pain. Initially, She and her parents thought it to be a normal pain. 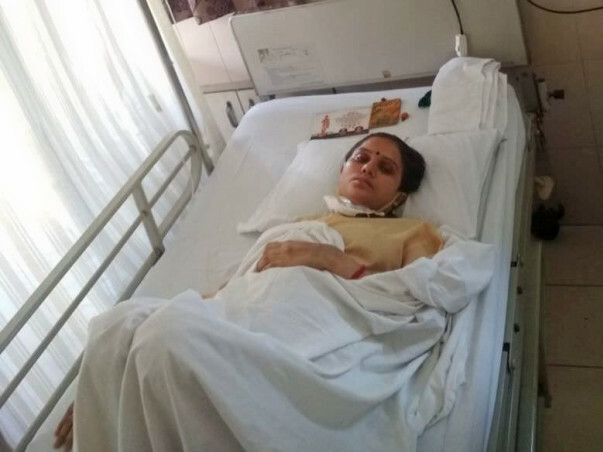 But after few days, when pain continued, she was admitted to a nearby hospital. 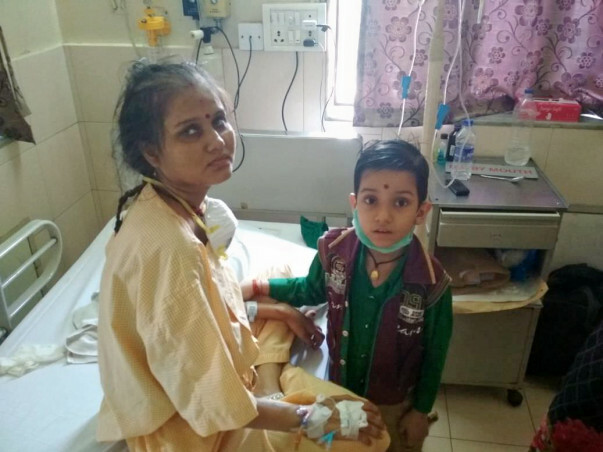 She was soon diagnosed with Acute Lymphoblastic Leukemia and was shifted to Shushrusha Citizen’s Co-operative Hospital, Mumbai – 400028 for higher treatment. Unfortunately, because of her weakened immune system, the hospital shifted her to a single room, so that she doesn’t catch anything from another patient. 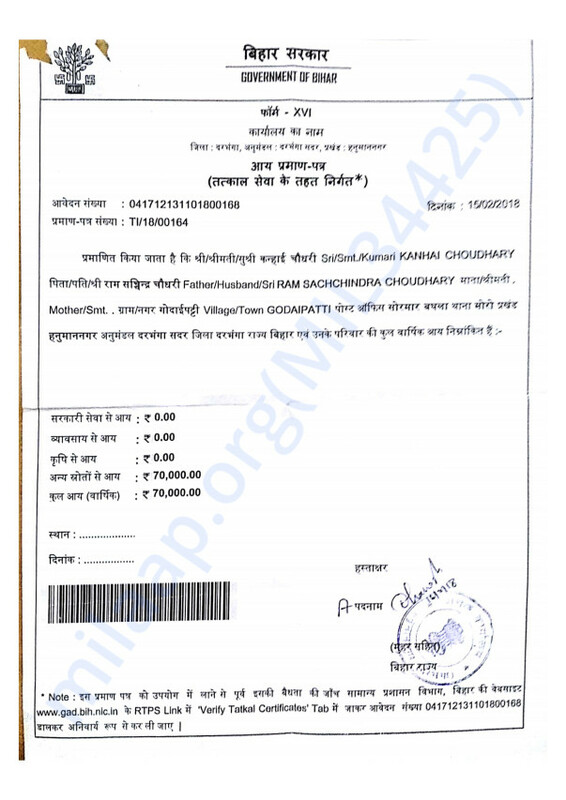 Till now, around 6 lakhs rupees has been spent by her parents. 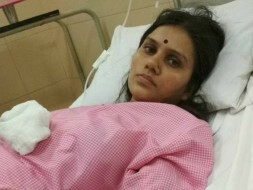 As the blood cancer has been diagnosed in the early stage, the doctors are assuring a complete recovery, given proper timely treatment is provided to her. 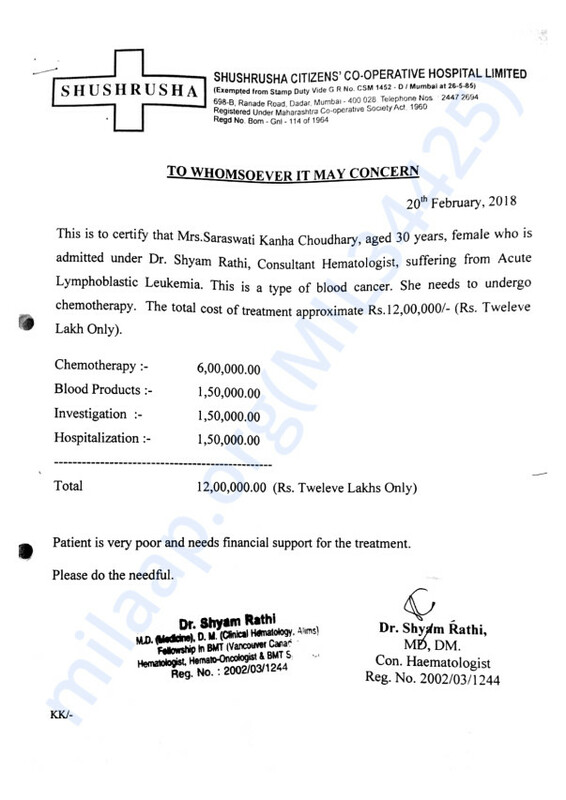 Doctors are estimating a cost of another 12 lakhs for chemotherapy for next 6 months and after that She needs to take medicines for next two years, if everything goes well. So overall cost may exceed above 25 lakhs. Saraswati is a kind and humble person and a great friend. She wears a smile and maintains a positive attitude towards life. She comes from a very simple family of modest means from Bihar. 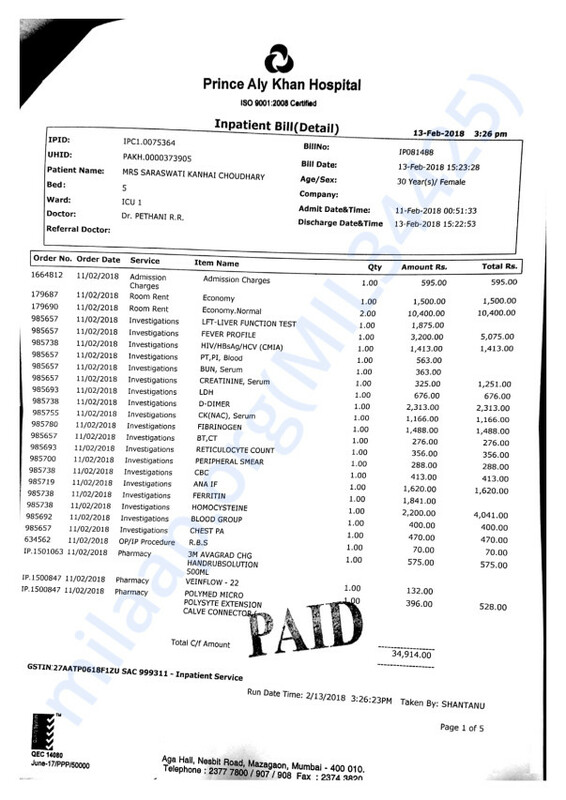 The costs of chemotherapy and other expenses has put tremendous financial strain on the family. They needs all our support in their time of unimaginable hardship. We hope that we can help Saraswati and her family to some extent through these efforts. Her condition is critical and every single penny counts. Kindly donate and pass this on to everyone you know who can help so that we can reach and possibly cross our 15 lakhs rupees target. Our strength lies in how many people come forward to donate. My apologies for being away and not sharing any updates since last. All chemotherapy cycles has been completed and now she is undergoing general medication which will continue for next 2 years. Also every three months, either bone marrow or MRD test will be performed to assess her recovery. Currently she is staying in a rented house near to hospital. She is now able to do her basic chores on her own. 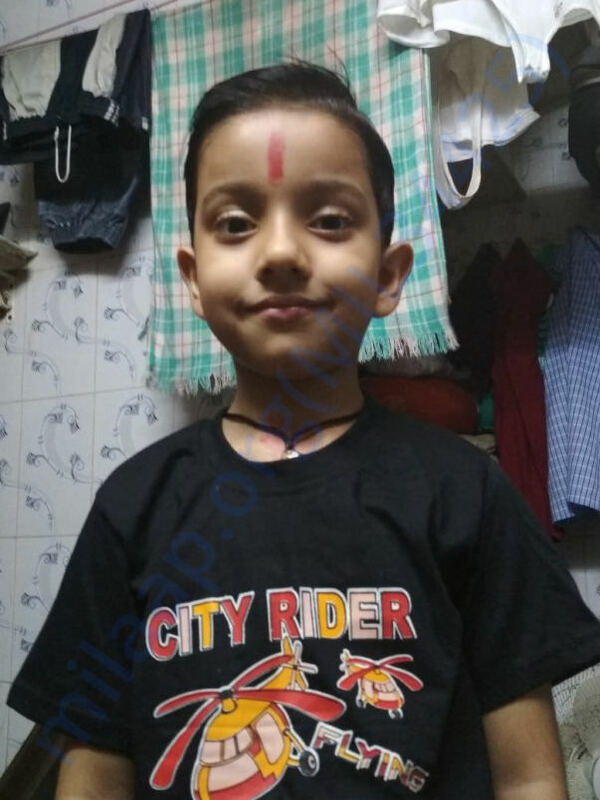 Recently she had gone to her home in Bihar on the occasion of Chhath puja for 10 days. 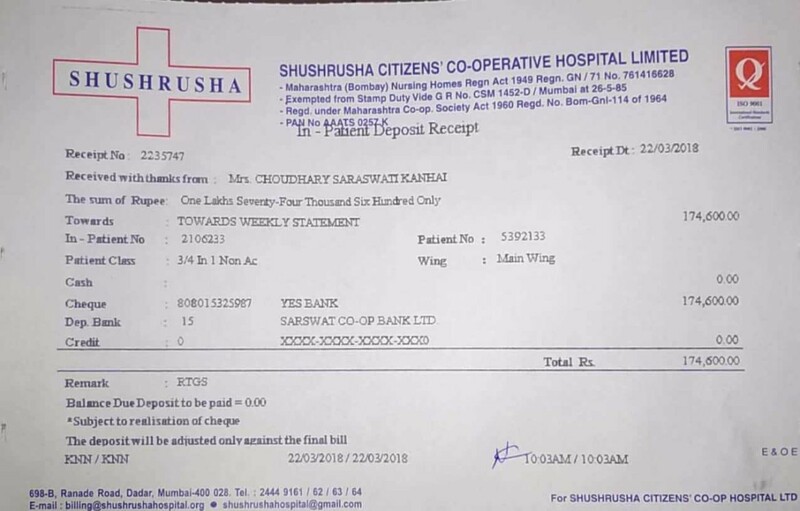 We raised another 16 lakhs rupees from one another online platform and after deducting platform/advertisement charges, 11 lakhs rupees was transferred to Hospital. 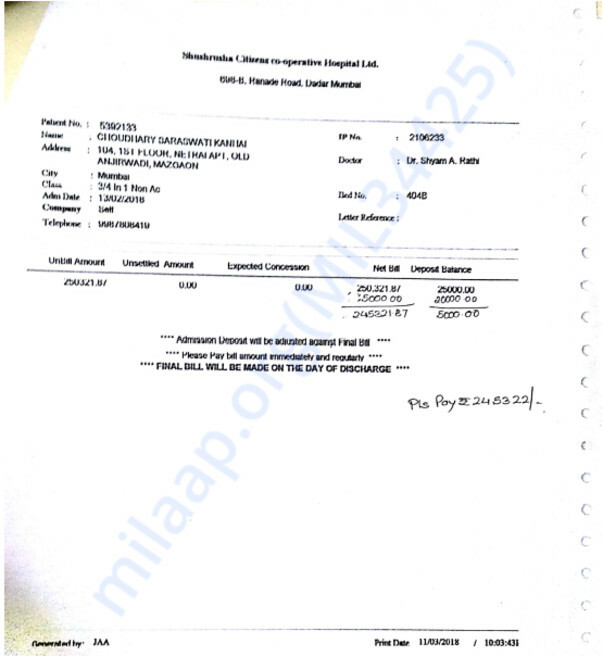 Received another 2.5 lakhs rupees from Tata trust, Mumbai. We thank you again for the support and prayers. You read the story, shared and told your friends to support when she needed it the most. Now she is witnessing better days although she still has to go a long way. It wouldn't have been possible without you. Thank you for being you! 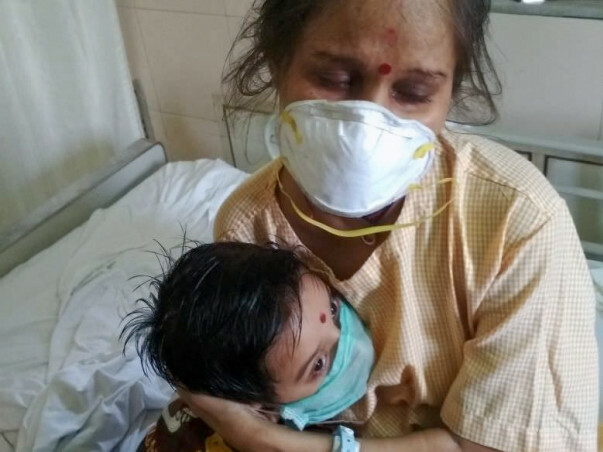 Saraswati is currently undergoing her fourth cycle of chemotherapy. Se is keeping through this painful process. She will be undergoing an MRD Test to check if chemotherapy is enough to cure her. Else, she will have to go for a Bone Marrow Transplant. We really hope everything goes well and the MRD test shows improvement in her health. Please keep supporting her and praying for her. We shall keep you posted. Thank you for the great support firstly with prayers and with contribution. The first chemo cycle has been completed and then a bone marrow test was done and the report has shown remission, i.e. decrease in malignant cells. That’s a very good news for all us. 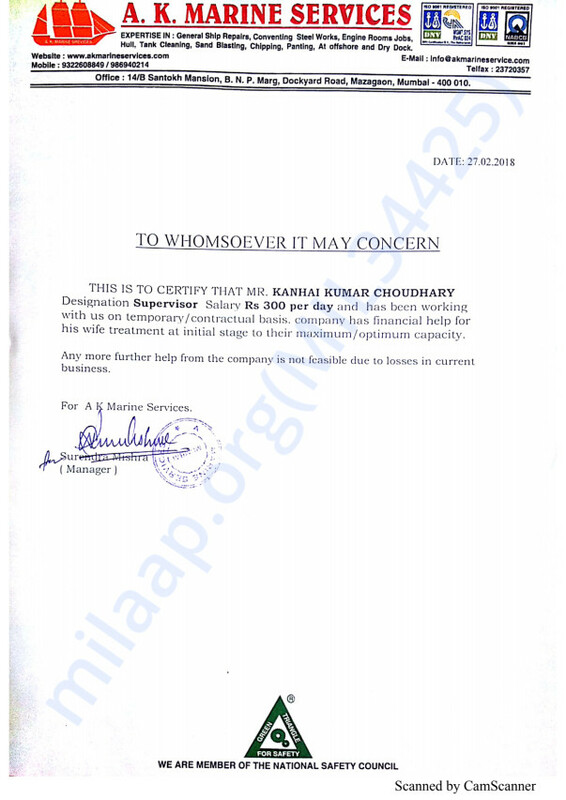 We have received a cheque of 20,000 rupees from a NGO in Mumbai. 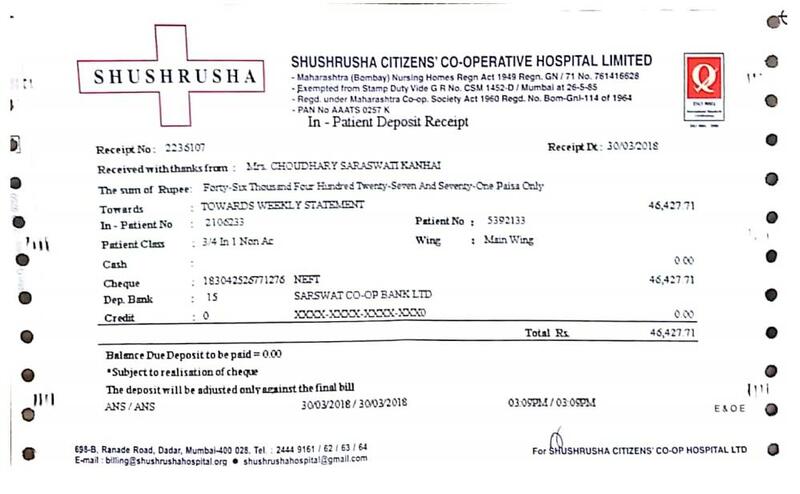 Till now, Milaap has transferred an amount of 2,21,027 rupees to Hospital account (to keep transparency) towards payment of hospital bills (Receipt attached). I have got an appointment with Dr. Ashish Dixit, famous Oncologist at Manipal Hospital in Bangalore on this coming Friday. I will take his opinion on the treatment going on and then will take further actions required to ensure best care being provided to her. Thanks for all your love and support. I will keep posting the updates. I wish you a speedy recovery. Get well soon.